Leading analysts from influential think tanks from 11 countries across the world provide their interim assessment of the Australian G20 presidency in this report. They all participated in last year’s Think20 meeting in Sydney, organised by the Lowy Institute, and are now discussing whether Australia has been able to make progress as G20 chair, which global issues need more attention from the Australian presidency, and what will need to be done to make the Brisbane G20 Summit in November 2014 a success. 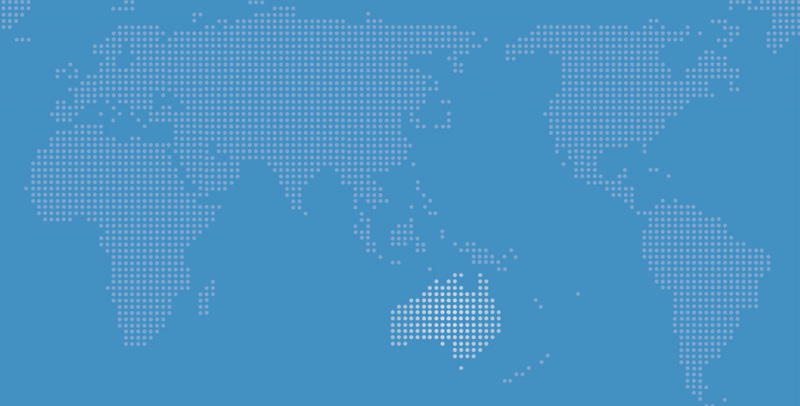 2014 Australian presidency of the G20: Towards an agenda of renewed cooperation? G20 Brisbane 2014: smart, innovative and fresh? Australia’s intentions to streamline the G20 agenda and focus on a few key issues are strongly welcomed by the participants. To which extent, this has been successfully implemented is an area of debate. Australia’s G20 presidency faces numerous challenges. While the announcement of a 2 per cent growth target at the February Finance Ministers and Central Bank Governors’ Meeting in Sydney has been broadly welcomed, its usefulness depends on whether member countries follow through with reform efforts domestically. The Australian presidency’s commitments to boost infrastructure investment across the G20 and advance the tax agenda also critically depend on their proper implementation. Areas where the Australian presidency’s efforts so far have been judged as insufficient include addressing climate change and revitalising the multilateral trade system. This report provides an assessment on how things are progressing in 2014 under Australia’s G20 presidency, from the perspectives of Think20 participants. This follows on from their original assessment of challenges and policy recommendations discussed at the Think20 meeting held on 11 December 2013. As background, the Think20 members were referred to Prime Minister Abbott’s address to the World Economic Forum, Treasurer Hockey’s speech on ‘Australia’s Role in Strengthening International Consultation and Cooperation’, and the communiqué from the meeting of G20 finance ministers and central bank governors held on 21-23 February 2014. The contributions contain a range of views on Australia’s progress to date as G20 chair. There is broad endorsement for Australia’s overall objective of having a more focused agenda (as Prime Minister Abbott said, a focus on a “few key subjects”) and producing outcomes rather than just talking. However, a number of contributors note that they are still waiting to see what will be the ‘few key subjects’ that will be the focus of the Brisbane Summit. The overarching objective of promoting growth and creating jobs is endorsed. But it is pointed out by a number of contributors, including Barry Carin, Stephen Pickford, and myself, that Australia still in fact has a long agenda, consisting of 10 streams of work. Pickford observes that taking forward 10 separate and difficult agenda items with equal vigour is bound to distract from main priorities. He says Australia still has to prioritise its efforts and negotiating capital. Ye Yu comments that 88 separate documents were released under the Russian presidency in 2013 and Australia has released 10 documents in the first quarter of 2014. Katharina Gnath and Claudia Schmucker note that for the G20 to be effective, the presidency has to ensure that value is added to the pursuit of members’ individual economic policies and the agenda has to be concise. The need for the G20 to add value is particularly pertinent given that many issues on the agenda are primarily domestic issues. A number of commentators emphasise that the G20 has to more effectively demonstrate international cooperation in 2014. Guven Sak believes that unilateral action by some central banks has weakened cooperation, and Jose Siaba Serrate calls for better communication and cooperation on monetary policy. As noted, while a number of Think20 experts comment on the continuing large G20 agenda, some express concern that climate change has been dropped from the agenda by Australia in 2014. Rei Tang observes that while Australia has been quiet about climate change issues, other G20 members will want these items on the agenda. Andrés Rozental notes his disappointment that climate change is not on the agenda, as do I. Carin, however, says that it is wise to resist calls for the G20 to rescue the climate change negotiations. The aim to lift global growth by another 2 per cent over 5 years, which was endorsed by G20 finance ministers at their meeting in February, receives many comments. Sergey Drobyshevsky and Pavel Trunin note that while the aim itself is positive, it is vague and subject to different interpretations. In a similar vein, Pickford points out that while it may signal intent, the aim will be hard to verify. Christophe Destais indicates that it may help shift the focus towards lifting growth rather than the emphasis being on rebalancing growth, although he warns that the G20 should not give up on coordinating macroeconomic policy. Gnath and Schmucker suggest the 2 per cent aim is meaningless unless it is supported by a consistent strategy of action and it may, in fact, be counterproductive if it weakens the Mutual Assessment Process. Ye Yu also observes that a collective target is only meaningful if supported by collective action. And I note that the growth aim will only be meaningful if it results in a change of approach by G20 members and if they implement the difficult domestic reforms identified by the international organisations as being necessary to lift growth. On the objective of lifting infrastructure investment, Destais notes that while investment is a key to increasing potential growth in many countries, the situation varies greatly among countries. Gnath and Schmucker warn that the infrastructure objective will become an empty shell if members do not agree on concrete steps that form part of an overall consistent strategy. Maria Wihardja notes that increased private sector investment is not a panacea to lift spending on infrastructure and Ye Yu says the G20 should take a more balanced position on the complementary roles of public and private investment. Yong Wang suggests there should be greater cooperation between the G20 and APEC in 2014. A number of contributors suggest that trade should be a focus of the G20 in 2014, although note that Australia has not given much indication as to what it will be seeking to achieve in this area. Gnath and Schmucker suggest the focus should be to strengthen the multilateral trading system, a point I also endorse in my paper. Pickford argues that with the WTO seemingly incapable of making progress, the G20 should concentrate on plurilateral structures. Drobyshevsky and Trunin call for the focus of the trade agenda to be on the role of global value chains, while Yong Wang suggests that the G20 agenda and China’s APEC agenda should be working towards the early conclusion of the WTO Round and a more open regional trading system in the Asia-Pacific region. Work on combatting tax evasion and profit shifting is endorsed, with Destais noting that the commitment to progress work in this area as expressed in the finance ministers’ February 2014 communiqué was much clearer compared with the language on financial regulatory issues. Pickford observes that for all its good analytical work, the OECD does not appear to have the political clout to get full international agreement to harmonise tax policies, including countries that are not members of the OECD. Destais expresses reservations over the ambiguous wording on financial regulation in the February ministerial communiqué, noting that neither the word ‘financial regulation’ nor the Financial Stability Board is mentioned. Yong Wang believes that a “more workable” agenda on banking and financing issues is required, including a scheduled action plan for the implementation of reforms. On development, John Kirton points out that Brisbane will be the last chance for the G20 to provide the needed leadership and guidance to the United Nations post-2015 development goal process, as successor goals to the Millennium Development Goals (MDGs) will be launched in 2015. To enhance accountability, he also calls for development issues to return to the Framework and the Mutual Assessment Process. Carin calls for “empowering development” by linking development actions to growth, and creating the conditions for developing countries to attract infrastructure investment, strengthen tax systems, and improve access to financial services. Australia is one-third of the way through its G20 presidency year. The papers in this report suggest a cautious optimism around Australia’s progress and leadership so far. Rozental notes in his paper that Mexico has a vested interest in keeping the G20 “alive and relevant beyond the current financial crisis”. It is a sentiment shared by all in the Think20. The aim of this report is to contribute to such an outcome by offering some constructive comments. Participant’s original assessment of the challenges in four main G20 agenda areas (economics/finance, trade, infrastructure and development are collected in Mike Callaghan and Hugh Jorgensen, eds., Think20 Papers 2014: Policy Recommendations for the Brisbane G20 Summit (Sydney: Lowy Institute for International Policy, 2013). Joe Hockey, “Australia's Role in Strengthening International Consultation and Cooperation, Address to the Lowy Institute (6 February, 2014),” http://jbh.ministers.treasury.gov.au/speech/001-2014/. G20, “Communiqué of Meeting of the G20 Finance Ministers and Central Bank Governors, Sydney, Australia, February 23, 2014,” http://www.g20.utoronto.ca/2014/2014-0223-finance.html. Abbott, “Prime Minister's Address to the World Economic Forum, Davos, Switzerland (23 January, 2014)”. Australia is approaching the halfway mark in its term as chair of the G20 in 2014. It is therefore a fitting time to provide an interim assessment of how it is going. The question is, however, what will be the ‘few key areas’ that will be the focus of the Brisbane Summit and what outcomes will be sought in those areas? Prime Minister Abbott laid out in his first, and to date only, speech on the G20 in Davos in January that the objective is for the Brisbane Summit to focus on a “few key subjects”. He noted that the G20 “must be more than a talkfest”. This was echoed by Treasury Hockey in a speech delivered in early February, where he stated that the G20 “must not be a talkfest, it must be a place for decisions and actions”. A focused approach to achieving outcomes through the G20 should be fully endorsed, along with the Prime Minister’s commitment to a three-page communiqué from the Brisbane Summit. The question is, however, what will be the ‘few key areas’ that will be the focus of the Brisbane Summit and what outcomes will be sought in those areas? Promoting stronger economic growth and employment outcomes. But ten work streams, which continue areas that were previously on the G20 agenda, are also listed. They are: trade, employment, development, anti-corruption, energy, investment and infrastructure, fiscal and monetary policy, tax, reforming global institutions, and financial regulation. In his February speech, Treasurer Hockey said that Australia’s G20 agenda was “simple, uncluttered and focused” and that Australia was “not adding anything to the existing agenda, but rather honing in on the most strategic priorities”. He is certainly right on the last point. Australia has, in fact, taken something off the G20 agenda: climate change. This is disappointing. But as noted, the existing agenda is still a long one and it remains to be seen what will be the ‘few key areas’ that will be the focus of the leaders’ meeting. And it will need a strong focus if the Brisbane Summit is to be remembered for achieving something significant. As Chris Giles from the Financial Times has noted, it is much easier for a reporter to tell their news editor in a sentence (or a headline) that the G20 has achieved progress in a single area than it is to explain incremental changes across a wide variety of work streams. If Australia wants the Brisbane Summit to be seen as having achieved significant progress on an international issue, it will need a ‘headline act’. The Prime Minister did give a hint as to what the headline act at the Brisbane Summit may be when he said in his Davos speech: “As always, trade comes first”. He went on to say that the G20 should renew its commitment against protectionism, undo protectionist measures put in place since the crisis, and each country should commit to open up trade through domestic reforms to help business engage more fully in global commerce. Trade would be a highly appropriate area for leaders to focus on at an international economic summit. In particular, the G20 could demonstrate its credentials as a global steering committee if the Brisbane Summit was seen as the occasion when leaders started the process of breathing life back into the multilateral trading system and multilateral liberalisation. While there will be a G20 trade ministers meeting in June 2014, it remains to be seen whether advancing trade liberalisation will be a major focus for the Brisbane Summit. In his Davos speech, the Prime Minister said that the G20 would continue its work on combatting tax evasion and tax avoidance. Treasurer Hockey also highlighted that the G20 will respond to the erosion of domestic tax bases resulting from international tax planning that takes advantage of the gaps in current taxation systems. The international response is being focused through the OECD, which has a 15-point action plan that it is advancing through 2014 and 2015. This is a complex and controversial area. The OECD will provide recommendations along with ‘soft law’; commitments that are not legally binding. This work will therefore not have an impact until it is implemented and changes made to national laws. It is important for the G20 to continue to provide international momentum to combatting tax evasion and avoidance, but simply endorsing the progress to date by the OECD will not represent an outcome for which the Brisbane Summit will be remembered. The Prime Minister did highlight, in the context of discussing the challenges countries face in protecting the integrity of their national tax systems, that his hope “is to have a really frank leaders-only discussion in Brisbane about the biggest issues we face, including digitalisation and its implications for tax, trade and global integration”. One hopes that the Prime Minister follows through and turns his ‘hopes’ into action. Such a forward-looking discussion that focuses on the fact that firms are increasingly operating globally, that global value chains dominate world trade, and technological developments will continue to drive the integration of economies, would be a significant outcome from the Brisbane Summit. The implication from these developments would be the recognition that there are increasing numbers of areas that are beyond the control of nation states and that international cooperation is essential. This could represent an important refocusing of the role, priorities, and importance of the G20. The communique from the first meeting of G20 Finance Ministers and Central Bank Governors under the Australian chair was pleasingly short, just two pages – although there is still some way to go to achieve the brevity of former UK Chancellor of the Exchequer Alistair Darling, who as chair of the G20 finance minister meetings in 2009 insisted on one page communiqués. The main ‘outcome’ from the meeting was the so called ‘growth target’, although there is no target. Specifically, the communiqué says “we will develop ambitious but realistic policies with the aim to lift our collective GDP by more than 2 per cent above the trajectory implied by current policies over the coming year”. How significant is the ‘growth aim’? It will only be significant if it influences G20 countries to do things differently in the future and tackle some controversial domestic economic reforms. As noted by the IMF, growth gains come from ambitious national policies that each country needs to implement for its own good. The finance ministers’ communiqué says: “To achieve this we will take concrete actions across the G20, including to increase investment, lift employment and participation, enhance trade and promote competition, in addition to macroeconomic policies. These actions will form the basis of our comprehensive growth strategies and the Brisbane Action Plan”. Of course, the G20 has been here before. The G20 Toronto Summit declaration refers to research by the IMF showing that if G20 members adopted more ambitious policies, global output could be increased by $4 trillion, 52 million jobs could be created, and 90 million people could be lifted from poverty. In June 2010, G20 leaders committed to work together to achieve these outcomes. Such commitments to lift global growth and create jobs were made at subsequent summits, along with lengthy action plans that were meant to outline the specific policy measures each G20 member would take to achieve stronger global growth. Yet global growth continues to disappoint: the ambitious reforms were not adopted. Why will things be different in 2014? Treasurer Hockey said that the problem with the G20’s approach in the past was that “it did not go down to the next layer of detail and set clear practical goals”. He also said that “the Mutual Assessment process set up by the G20 did not provide enough top-down guidance to make sure our individual and collective actions were sufficiently well coordinated to maximise the impact on the global economy”. However, as noted, past G20 summits set many goals for growth and job creation, and the action plans were full of detail. The core of the problem is that G20 countries did not turn words into domestic policy action. And that is the key test, will the ‘growth aim’ endorsed at the Sydney finance ministers’ meeting see words turned into action? The reforms identified by the IMF and the OECD, which form the basis of the model simulations predicting that growth could rise by 2 per cent over five years, are politically difficult for all G20 members. For example, the reforms and outcomes for China include: reduce private saving, increase the cost of capital through the better pricing of risks and the liberalisation of interest rates, a shift to more productive investment, increased government transfers in order to improve social safety nets, and a “fully flexible exchange rate”. For Germany, reforms are required to: boost private investment, lift productivity by liberalising services markets and product markets, along with an increase in public investment equal to 0.5 per cent of GDP. The reforms assumed for the US also include a permanent increase in public investment, particularly infrastructure, and an increase in private saving of 0.6 per cent of GDP along with further fiscal consolidation. An indication of the “ambitious but realistic” reforms that the international organisations are assuming for Australia can be gained from the OECD’s Going for Growth initiative. The top reforms identified for Australia include: boosting business-research collaboration, improving the efficiency of the tax system by lowering corporate taxes and relying more on the GST, improving the regulation of infrastructure by expanding user charges and congestion charges, improving childcare support in order to lift female participation, and reducing the stringency of the scrutiny of foreign investment. These are politically difficult but necessary reforms. The comprehensive growth strategies and the Brisbane Action Plan will have to cover the reforms identified by the IMF, OECD, and World Bank. If they do, it will mark a major change from previous G20 action plans, which largely identified the measures that countries were already implementing or had announced, and not the additional reforms needed to lift growth. But not only must the reforms be included in the Brisbane Action Plan, they also have to be implemented if growth is to be increased. However, countries will not announce major, controversial domestic economic reforms at an international meeting without first preparing the ground with their citizens. In short, if G20 members are going to take the ‘aim’ announced at the Sydney finance ministers meeting to lift growth by 2 per cent over five years, they will need to start engaging with their citizens over the required reforms well before the presentation of growth strategies at the Brisbane Summit. G20 ministers continue to endorse efforts to strengthen financial sector regulation, with the noble aim of ensuring that the reforms promote resilience, certainty and promote growth. But they also continue to provide no detail on achieving these objectives. At the February meeting regret was expressed over the failure to complete IMF quota and governance reforms and the US was urged to ratify the reforms by the next ministerial meeting in April. While the US Administration attempted to link the IMF reforms with the aid package for Ukraine, it appears that the US Congress was not listening to the G20 and the IMF reforms were excluded from the legislation. This could turn into a very difficult issue for Australia as chair of the G20 if the emerging markets want to escalate their frustration at the failure to deliver commitments made by the G20 in 2010. Australia needs to improve the flow of information around the issues being progressed by the G20 in 2014. For example, many photos of the sherpas’ meetings are released, but minimal information is provided as to the issues being discussed. Far more background information was provided by Russia when it chaired the G20 in 2013. In particular, the Russian Sherpa and Finance Deputy regularly held press conferences that were widely reported. As noted, Australia is approaching the halfway point of its G20 presidency. There has been a good start in many areas, but a lot of work remains and improvements are required if the Brisbane Summit is going to be a significant point on the international calendar. Perhaps the most important development required is for the prime minister to outline as soon as possible what will be the ‘few key areas’ on the leaders’ agenda and what he wants as the main outcomes from the Brisbane Summit. Importantly, Prime Minister Abbott needs to show that he is personally engaged and is active in engaging other G20 leaders well in advance of the summit. Joe Hockey, “Australia's G20 Agenda, Address to the Institute of International Finance (20 February, 2014),” http://www.joehockey.com/media/speeches/details.aspx?s=127. Mike Callaghan, “Strengthening the Core of the G20: Clearer Objectives, Better Communication, Greater Transparency and Accountability,” (Sydney: Lowy Institute for International Policy, 2013). Hockey, “Australia's Role in Strengthening International Consultation and Cooperation, Address to the Lowy Institute (6 February, 2014)”. IMF, OECD, and World Bank, “Macroeconomic and Reform Priorities - Prepared by IMF Staff with Inputs from the OECD and the World Bank,” (Sydney 2014). G20, “Communiqué of Meeting of the G20 Finance Ministers and Central Bank Governors, Sydney, Australia, February 23, 2014”. “The G-20 Toronto Summit Declaration,” http://www.g20.utoronto.ca/2010/to-communique.html. Hockey, “Australia's G20 Agenda, Address to the Institute of International Finance (20 February, 2014)”. OECD, Economic Policy Reforms 2014: Going for Growth Interim Report (Paris: OECD Publishing, 2014). “The idea of a ‘magic bullet’ that will fix all performance management problems is an unrealistic aspiration” ~ Australian Public Service Commission. In his January address at the World Economic Forum, Prime Minister Abbott highlighted trade, tax, infrastructure, employment and banking as the issues Australia will emphasise. While it is easy to scoff at the prospects for the Brisbane G20, recognition of Australian practicality leads to the conclusion that the G20 glass is more than half full. Sceptics point to the long list of complex issues on the agenda and the shortcomings of the G20 process inherited by Australia. Optimism, however, is soundly based on the Australian capacity for ingenuity and their national no-nonsense character. Optimists can take comfort from the history of Australian originality and cleverness. History tells us that Australians can build a better mousetrap. Examples of Australian inventiveness include the feature film, wifi, utes, and perhaps most significant, the wine cask. The resourceful use of leftover brewer’s yeast – Vegemite – is an Australian creation. The list of imaginative Australian products is impressive; it includes the Hills Hoist, insect repellent, Ugg boots, the notepad, software for animators, and the first commercial cochlear implant. The Brisbane G20 can produce concrete useful results despite the apparently over-constrained context. Hard-headed Australian leadership will likely lead to realistic and sensible outcomes. Among the constraints facing the Australian presidency is an imposing inherited agenda. Australia is not free to set priorities. The Saint Petersburg G20 requested many reports to be delivered to Brisbane – reports on growth strategies, country specific plans on employment, financing for investment, structure of the Financial Stability Board representation, Financial Action Task Force standards on ownerships and trusts, concrete outcomes on development priorities, and yet another report on inefficient fossil-fuel subsidies. This inherited agenda will absorb a lot of time and energy. But Australia must take these remits seriously to ensure that decisions at Brisbane are followed up by Turkey in 2015. The December 2013 “Overview of Australia’s Presidency” highlighted “promoting stronger economic growth and employment outcomes” and “Making the global economy more resilient to deal with future shocks” to lift growth, boost participation, create jobs and build the resilience of the global economy. The featured priorities to ‘shift the dial' on world growth were unobjectionable – attracting private infrastructure investment, removing obstacles to trade, creating jobs and lifting participation, empowering development, strengthening energy market resilience, and fighting corruption. The critics will harp on about the emphasis on the role of the private sector and growth led by business. As Treasury Hockey has stated: “the centrepiece of that [the Brisbane] agenda will be commitments from members to undertake domestic reforms that tangibly improve the investment environment and so unlock private sector investment, particularly in the area of infrastructure”. The arguments about the role of the public sector and the limitations of the profit motive are well known, so it will be interesting to see if Australia promotes some innovative initiatives to redirect private sector funding. In any case, we can look forward to some ingenious proposals to stimulate investment in infrastructure from pension funds and sovereign wealth funds. With respect to ‘empowering development’, few will argue with Australia’s stated priority for 2014 to link development actions to growth, by creating the conditions for developing countries to attract infrastructure investment, by strengthening tax systems, and by improving access to financial services. With respect to ‘strengthening energy market resilience’, mention is made of improving the operation and transparency of global energy markets, increasing cooperation between major producers and consumers, and advancing work on energy efficiency. Missing here is any new substantive initiative to pursue international collaborative R&D efforts, à la the International Space Station. The preparatory process straitjacket is a serious constraint. Australia inherits an impracticable tradition – a number of working groups with reporting split between two tracks: the Sherpas and the ‘finance track’. The split does not make sense. Working groups and task forces include anti-corruption, investment and infrastructure, Framework, development, employment, and energy sustainability. In addition there will be meetings of trade ministers, and labour and employment ministers. Given the interconnections and spillovers between issues, coordination to provide coherence will be very challenging, especially since there is not one Australian official in charge. Figure 1: Constraints on a G20 host. While somewhat constrained in the ability to set additional priorities, Australia is doing many things right. In terms of process, the system of the G20 troika allows for institutional memory and continuity. Respect for the troika leads to Australian influence for a further year. By all accounts, Australia is substantively involving its troika colleagues. Outreach is extensive. It is wise to continue to resist calls to rescue the climate change negotiations. A successful outcome is unachievable in the current context; in any case, G20 intervention would not be welcomed by non-G20 countries. Australia is prudent to not raise expectations. Assessments to date by business and civil society are moderate. The International Chamber of Commerce’s (ICC) third instalment of their annual Scorecard notes that progress remains poor in several crucial areas, including energy and the environment, but overall rates G20 responsiveness to business priorities as ‘fair’, with a score higher than the two earlier Scorecards. “But the positive overall trend also masked deficiencies in individual categories. Among the lows was the failure to recognize the importance of information and communication technologies (ICTs), no movement on carbon pricing and a lack of discussions on a high-standard multilateral framework for international investment”. Civil society expectations are not high. Nancy Alexander writing for New Rules for Global Finance rated the G20 on governance as 1.5 on a scale of 4 (1-poor; 2-moderate; 3-good; 4-excellent). Writing in the same publication, Nathan Coplin rates the G20’s impact at 2.1 on a scale of 4. One idea that Australia should perhaps promote was initially raised two years ago by Andrew Haldane. He noted that the financial sector “lags by a generation both products and information in the management of its network. Today’s financial chains mimic product supply chains of the 1980s and the information chains of the 1990s. For global supply chains and the internet, their fortunes were transformed by a common language. This enabled them to become global in scale and scope and highly adaptive to new demands and technologies”. He referred to the introduction of the Global Data Synchronisation Network (GDSN) recording product descriptions in a consistent way globally. Similarly, a universal Internet Protocol was agreed – the common language Hyper-Text Markup Language (HTML). Writing recently in the Financial Times, Tim Harford quoted Haldane, who noted that proposals to tag both banks and financial products with unique ‘barcodes’ would make it easier to assess risk exposures in the future. “The experience of global supply chains and the web tell us there is no technological constraint on real-time measurement and management of financial inventories by even the largest firms. Where Wal-Mart has led, Wall Street could follow”. One common-sense approach that does not appeared to have been emphasised so far is ‘sun-setting’, establishing provisions to automatically terminate entities after a specified period of time unless expressly reauthorised. The G20 is a great opportunity to attempt to ensure that organisations, funds and even informal arrangements do not live forever, long past their effective days. For example, G20 working groups and task forces should be given an explicit dissolution date. One courageous approach would be to establish a G20 review process to assess existing institutions and arrangements on a rotating basis and make recommendations regarding a sunset date. Outdated entities would be identified for elimination or renovation. Prime Minister Abbott has reaffirmed that “freedom and small government rather than more regulation and higher taxes will serve us best for the next fifty years and beyond”. One can hope that this means that Australia will devise and promote smart regulation for global commons issues and problems that require international cooperation. As the Australian Public Service Commission has concluded: “pragmatism highlights the need for organisations to adopt practices that are ’fit for purpose’. These practices need to fit organisations’ contexts and capacities (including people and financial resources). It is important to be realistic about what is possible and probable”. Senior Fellow, Centre for International Governance Innovation (CIGI). Deborah Blackman et al., Strengthening the Performance Framework: Towards a High Performing Australian Public Service (Canberra: Australian Public Service Commission, 2013). Renee Krosch, “A Great Aussie Invents the Supeme Mousetrap Machine (7 December, 2012),” http://www.abc.net.au/local/stories/2012/12/06/3649257.htm. International Chamber of Commerce, “ICC Sees Progress on G20 Agenda, Opportunities Ahead (7 March, 2014),” http://iccwbo.org/News/Articles/2014/ICC-sees-progress-on-G20-agenda,-op... New Rules for Global Finance, “Global Financial Governance & Impact Report,” (Washington 2013). International Chamber of Commerce, “ICC Sees Progress on G20 Agenda, Opportunities Ahead (7 March, 2014)”. Robleh D Ali, Andrew Haldane, and Paul Nahai-Williamson, “Towards a Common Financial Language" (paper presented at the Securities Industry and Financial Markets Association (SIFMA) "Building a Global Legal Entity Identifier Framework” Symposium, New York, 14 March 2012). Blackman et al., Strengthening the Performance Framework: Towards a High Performing Australian Public Service. The priorities of the Australian presidency in G20 are determined by the post-crisis macroeconomic development of both the G20 countries and the global economy as a whole. It is important that the agenda of the Australian G20 presidency in 2014 logically draws on the initiatives of the Russian presidency. During the Australian presidency the priorities are the issues related to ensuring, first, solid economic growth and new jobs, and second, resilience of the economies. The key task of the G20 under the Australian presidency is to implement the 2013 Saint Petersburg Action Plan containing specific measures and arrangements to achieve balanced economic growth. It is essential to control the implementation of the measures agreed by leaders at the G20 summit in Saint Petersburg in order to achieve macroeconomic targets. The accelerated growth of the G20 economies will be promoted by adherence to the agreed strategy as well as implementation of additional measures to foster innovation, global trade turnover, the attractiveness of infrastructure projects, and new jobs. The measures forming the basis of the Brisbane Action Plan are supposed to contribute to achieving a benchmark that was set for the first time by the G20: to increase the GDP of the G20 economies in five years by more than 2 per cent or US $2 trillion in real terms compared to the current levels. To achieve this goal, it is necessary to raise the GDP growth rate of the G20 economies on average by 0.5 percentage points a year over the five years. In addition, given that the October forecast of the IMF is used as a starting point, we believe that targets should be adjusted to reflect updated estimates of the economic prospects of the global economy and of major developed and developing countries. Moreover, the set goal is rather vague and can be interpreted in different ways, although establishing a quantitative target for economic development is obviously a positive step. The Action Plan proposed by Australia includes the strategy of stimulating economic growth and the strategy of raising the global resilience. The strategy of stimulating economic growth is based on the need to stimulate investment in infrastructure projects, to remove trade barriers and restrictions, to create jobs and enhance employment, and to stimulate economic activity, including in developing countries that are not G20 members. We believe it is extremely important that Australia has made the interests of the private sector the cornerstone. Nonetheless, to attract long-term private investments in infrastructure projects (required in the amount of US $50 trillion, according to the OECD), it is necessary to develop the public-private partnership mechanisms which are proposed by Australia as a way to stimulate investment activity. The engagement of multilateral development banks can also be considered reasonable, as their intermediary role will enable the most efficient transformation of savings from institutional sectors into investments. The mechanisms to raise the attractiveness of investments, especially in infrastructure projects, were actively discussed at the first joint meeting of G20 and B20 held on 21 February 2014. In our view, the cooperation among the G20 leaders and B20 representatives is exactly the format that could solve the problems inhibiting the growth of investment activity in the private sector. However, the issue of stimulating long-term investments cannot be solved separately from two current features of the global economy: the distribution pattern of capital among groups of countries, and international migration of tax bases and companies’ profits. There is a serious misbalance in the global economy due to the distribution of capital between advanced economies and developing countries. During the 2000s, the developing countries accumulated large stocks of capital, first in the form of investments in risk-free low-yield assets; but shifting those funds to real sector and infrastructure projects is restrained by the high risks of inefficient investment decisions. The advanced economies have very good experience and enough skills to increase the effect of investments for global economic growth, but they are still in a fiscal consolidation stance and experiencing a repressed development of the financial sector. We hope that during the Australian presidency the G20 countries will start the process of successful and productive cooperation between advanced and developing economies on the issue of how to use the accumulated capital for global economic growth. During the last year, many of the G20 countries succeeded in achieving fiscal sustainability and rebalancing their government budgets. Now it is the monetary authorities’ turn to exit from post-crisis policy. We believe that during the Australian presidency it is essential to provide specific measures and mechanisms that would allow not only to coordinate the sequence of actions of the monetary authorities, including the measures to tighten monetary policy, but also to assess their impact on key development indicators of the G20 economies. The main risks and challenges faced by the G20 countries are related to the need to gradually exit from the monetary stimulus programs that are actively used by monetary authorities in major developed countries. Serious concerns are related to the response of the global community, and first of all the major developed countries, to the cutback of quantitative easing programs initiated by the US Federal Reserve in December 2013. The economic developments of the first months of 2014, namely the depreciation of national currencies of developing countries and strengthened capital outflow from their financial markets, will adversely affect economic development indicators. In our view, the G20 countries should make every effort and introduce specific measures and mechanisms to prevent the aggravation of negative trends in the global economy in response to the inevitable reduction of monetary stimulus programs. These issues were actively discussed during Russia’s presidency and at the first G20 Finance Ministers and Central Bank Governors Meeting held in February 2014 in Sydney. At this meeting, the finance ministers confirmed the need for a carefully planned and as transparent as possible prudent monetary policy. In this regard, it is important to focus on the deflation that persists in developing countries. With the target of 2 per cent, consumer prices in the Eurozone in February – according to preliminary data – grew only by 0.8 per cent at an annual rate, which corresponds to their January dynamics, even though it is the risk of deflation that made the ECB reduce the key interest rates once again in November 2013. Great Britain is also experiencing a slower growth in consumer prices with 1.9 per cent growth at an annual rate in January, being minimal since November 2009. In order to achieve sustainable economic growth for both advanced and developing economies, adherence to evolving barrier-free international trade is urgently needed. The global value chains are currently the key form of international cooperation and should get a new impulse for further development. We hope the Brisbane Action Plan will properly address this issue, and that G20 countries will work on it. Special attention to trade and global value chains is also needed because of the apparent tendency to shift industrial production to the advanced countries. The ongoing depreciation of national currencies of developing countries increases their competitiveness as global producers, but the risks of this policy tool are also high. Given the remaining macroeconomic imbalances, it is necessary to continue the implementation of structural reforms in both developed and developing countries in order to enhance the stability of the global economy. The strategy of raising global resilience proposed by Australia provides a platform for reforms in the global financial system, stronger taxation systems, reforms of global institutions, higher stability of the energy markets, and the fight against corruption. As for reforming the global institutions, we support the plans of Australia regarding the need for the United States to sign the 2010 agreement on IMF Quota and Governance Reform by April 2014 when the next G20 Finance Ministers and Central Bank Governors Meeting will be held. If this occurs, we can hope to achieve an agreement under the 15th General Review of Quotas in January 2015. On the whole, we believe that implementation of the proposed measures will support the recovery growth in the G20 countries, raise the resilience of the global economy, stimulate investments in the private sector and its willingness to invest in long-term infrastructure projects. However, to achieve the set goals, it is necessary to provide specific actions and measures and outline the intermediary results so that in five years the G20 countries can reach the target production levels. Sergey Drobyshevsky, Managing Director of G20 Expert Council, RANEPA, and Pavel Trunin, Head of Macroeconomics and Finance Division, Gaidar Institute for Economic Policy. IMF, “World Economic Outlook October 2013: Transitions and Tensions,” (Washington DC, 2013). In 2009, the G20 declared itself the premier forum for international economic cooperation. The world’s major economic powers come together to coordinate their economic and financial policies in order to create strong, balanced and sustainable growth. The group’s main role is to build political momentum and a shared understanding for international problems and policies in an informal and flexible setting. In order for the G20 to be effective, any G20 presidency’s agenda should have at least two aims: it should add value to member states’ individual economic and financial policies and it should be concise. The G20 is a gathering of politically and economically very powerful nations that together represent 85 per cent of the world economy, 75 per cent of global trade, and two-thirds of the world’s population. However, in order to be more than the sum of its parts, the policy measures on the G20 agenda should add value rather than simply list individual national economic and financial initiatives that members would tackle individually anyhow. The G20 agenda should concentrate on issues that countries alone cannot solve. A brief and focused agenda gives policy-makers in the G20 the opportunity for in-depth discussions to achieve tangible results instead of rubber-stamping an array of disparate policy initiatives. A concise agenda also makes it easier to communicate clearly identifiable results to the public which is generally sceptical with regard to the G20’s effectiveness and legitimacy. The Australian Government so far has fared well on the second point, but there is room to improve the first goal over the course of the remaining presidency. The Australian presidency has structured this year’s G20 agenda along two main goals: it wants to the lay the foundations for stronger economic growth and make the global economy more resilient. Both global economic growth and resilience are part of the G20’s core and are rightly at the centre of this year’s agenda. The goal of the Australian presidency to develop a comprehensive Brisbane Action Plan for growth over the course of the year is therefore welcome. Yet the outcome of the recent G20 ministerial meeting in Sydney points in the wrong direction. In February 2014, the G20 finance ministers and central bankers agreed to lift the collective GDP by more than two per cent over the next five years. The shift to an overall numerical growth target is meaningless as long as the goal does not come with a consistent strategy on how to achieve it and clear steps for action. The target may even prove counterproductive if it takes away energy from strengthening the existing Mutual Assessment Process (MAP) in the context of the Framework for Strong, Sustainable, and Balanced Growth. The MAP brings together policy-makers to discuss individual policy measures in a regular process. Over the course of its presidency, Australia should improve the process by strengthening its peer-review element and by paying more attention to the consistency of national measures. The G20 should concentrate on developing a consistent overall approach rather than simply listing individual members’ growth-enhancing policies. In his speech at the World Economic Forum in Davos in January 2014, Prime Minister Tony Abbott listed trade as one of the G20’s main policy priorities to enhance growth. The Australian presidency has announced it wants to focus the G20 trade discussions on ways to remove obstacles to trade and enhance countries’ ability to participate in global value chains. While the international trade system has been a regular item on the leaders’ G20 agenda, it is currently not clear what the actual goal and value added of the Australian presidency in the area of trade will be. G20 member states already committed at their last summit in Saint Petersburg (September 2013) to refrain from introducing new protectionist measures in trade or investment until the end of 2016. With regard to supporting domestic reforms to increase countries’ participation in global trade, so far, Australia seems to focus on collecting individual reform activities rather than searching for a collective response to a global challenge. The G20 could add value to the global trade agenda by focusing on steps to strengthen the multilateral trading system at the World Trade Organization instead. The WTO agreement in Bali in December 2013 was a great success that breathed new life into the long-moribund Doha trading round. Yet the Bali package only contains a small portion of the original trade portfolio. The Australian Government could use its presidency to work towards a new consensus among its members on a number of critical points on the multilateral trade agenda. The G20 includes all the important actors at the WTO that could then collectively help bring the Doha round to a successful conclusion. Australia has kept the issue of infrastructure investment on this year’s growth agenda after the Russian presidency had added it in 2013. Prime Minister Abbott emphasised in Davos that there was a global “infrastructure deficit” and he committed to bringing policy-makers and financiers together at the G20 to increase long-term infrastructure financing. The G20 finance ministers pledged in Sydney to establish policy and regulatory frameworks to enhance long-term investment in infrastructure that allow market incentives and disciplines to better unfold. The focus of the G20 over the coming year will be on commitments from member states to undertake domestic reforms that improve the investment climate. So far, this seems to imply a simple collection of individual members’ actions. Yet similar to the overall growth target above, the commitment risks becoming an empty shell if member states do not agree on concrete policy steps that form part of an overall and consistent strategy in this area. So far, this year’s G20 presidency has taken many steps in the right direction. The agenda is concise and Australia is clearly committed to achieving tangible results. The aim of increasing global economic growth brings the G20 back to its economic roots. Growth is a pressing issue for the global agenda for which the G20 can clearly act as a steering committee to discuss and coordinate member states’ strategies. However in all individual measures – including the overall growth framework as well as in trade and infrastructure investment – the specific value added that the G20 brings to the issue needs to be clarified and strengthened over the coming months to make Australia’s G20 presidency a success. Katharina Gnath, Fellow, Stiftung Neue Verantwortung and Claudia Schmucker, Head of Globalization and World Economy Program, German Council on Foreign Relations (DGAP). As the G20 approaches the halfway mark of its preparations for the Brisbane Summit in November 2014, two issues remain absent from the Australian host’s priority list. These are accountability and development. These items have been core agenda items since the G20 summits’ start in 2008. Over their first eight summits, G20 leaders have steadily strengthened their focus and performance on both subjects, culminating in the production of the G20’s first self-prepared accountability report – done on the topic of development – for the most recent G20 summit held in Saint Petersburg in September 2013. Brisbane will be the last G20 summit before the United Nations meets at the leaders’ level in September 2015 to mark the date for fulfilling the Millennium Development Goals (MDGs) and to launch a new set of successor goals for the years ahead. Brisbane will thus be the last chance for the G20 leaders to provide the leadership and guidance needed for the UN to succeed in this formidable but compelling task. In putting development and accountability back on the G20’s central agenda for Brisbane, the Australian host can build on a firm foundation from the past. From the start of G20 summitry, leaders have made 90 commitments on development, as follows: 4 at Washington in 2008, 6 at London in April 2009, 9 at Pittsburgh in September 2009, 8 at Toronto in June 2010, 22 at Seoul in November 2010, 18 at Cannes in November 2011, 10 at Los Cabos in June 2012, and 13 at Saint Petersburg in September 2013. Together this has made development the fourth highest area for G20 commitments, exceeded only by macroeconomic policy at 293, financial regulation at 201, and international financial institutional reform at 100. More G20 summit commitments have come on development than on trade at 87. Moreover, the G20 delivers on development. G20 members have complied with these commitments to a high degree. In the 36 development commitments assessed for compliance from 2008 to 2013 (representing 47 per cent of the 77 made during that time and all those from the Seoul Summit), average compliance is a respectable 68 per cent. Compliance is led by the United Kingdom at 93 per cent, followed in turn by Germany at 87 per cent, the European Union at 83 per cent, Canada at 82 per cent, France at 80 per cent, and the United States and Australia at 78 per cent each. G20 development compliance has been on the rise, with the assessed priority development commitments made at the Los Cabos Summit being complied with at an average level of 89 per cent. This compares with the score of only 57 per cent for the assessed development commitments at the London Summit in April 2009. This general rise in G20 development commitments and compliance coincides with an increasing G20 effort to become more accountable for delivering the commitments it makes, and to comply in ways that achieve the intended results. This effort at self-assessment began with the creation of the Development Working Group at the Toronto Summit. It expanded with the publication of the St Petersburg Accountability Report on G20 Development Commitments just before the G20 summit in September 2013. Yet neither of these processes is as intense or influential as that performed by the Mutual Assessment Process (MAP) and the Framework Working Group, which was given responsibility for development within the G20 system when they were created in 2009. It thus remains important to return development to the Framework and the MAP, as well as adding other independent accountability mechanisms to get the development job done. This task has taken on added importance with the cancellation of the G8 summit in 2014. The G8 has had a distinguished record of advancing global governance on development, and of working with the UN in this regard. This was seen most recently at the G8’s 2010 Summit with its signature Muskoka Initiative on Maternal, Newborn and Child Health, for MDG’s 4 and 5. These two and other key MDGs remain unmet as the 2015 deadline looms. Moreover, the process for devising a new set of post-2015 development goals promises to broaden the agenda and to give greater attention to the macroeconomic and financial issues long at the centre of G20 concern. To shape this agenda in an integrated and coherent way, the UN process, unfolding without the direct attention of several influential global leaders working together, needs the catalytic leadership of the G20 if is to design and deliver development for the global community as a whole. Co-director, G20 Research Group; Munk School of Global Affairs, University of Toronto; Non-Resident Senior Fellow, Chongyang Institute for Financial Studies, Renmin University of China. Three months into the Australian G20 Presidency, the government has already set out fairly extensively its ambitions for the Brisbane Summit. Whether it will be able to realise those ambitions is an open question, however. Some of the signs are encouraging, others less so. The Prime Minister and Treasurer have made it clear that they want to set an agenda which focuses on a few key issues, and to boost the effectiveness of the G20 as a steering group for the global economy in good times as well as in crisis. The signs so far are that the government is determined to try and change the way the G20 operates. It wants to ensure that the G20 is focused on actions and outcomes, allows frank and robust discussions, and engages with countries and bodies outside the G20. Given the drift and loss of focus at G20 summits over recent years, this ambition is welcome. Australia will undoubtedly meet with resistance from other G20 members, some of whom are happier for the G20 to remain as a talking shop. But on the evidence of the Sydney Finance Ministers’ and Governors’ meeting in February, the Presidency is prepared to take them on. Identifying a growth objective of boosting growth by 2 per cent (albeit an aim which is set for the medium term and is likely to be difficult to verify) sends a strong signal of intent. The challenge will be to get countries to sign up to national actions to deliver it. The February communiqué also makes a good start in concentrating on the key macro policies that will be crucial in the short term in determining whether the global recovery can continue: ensuring that ‘normalisation’ of monetary policy progresses at the appropriate speed, that the strengthening of fiscal balance sheets takes place ‘flexibly’, and that the private sector (which is currently cash-rich) is encouraged to invest. Australia also appears to have invested considerable capital in trying to get the MAP process to work more effectively. This is potentially a very powerful tool to challenge countries to set stretching and ambitious targets for national policies, to hold them to account for delivering on these policies, and to recognise the potentially damaging spillovers from national policies onto other countries. Making the process work more effectively is a crucial part of delivering on the policy priorities for the G20. Doing so will require considerable skill and effort, but at the moment Australia seems to be prepared to put in that effort. It is less clear that Australia is living up to its objective of slimming down the G20 agenda, focusing on key objectives and prioritising efforts on them. The avowed intention is to concentrate on only two policy areas: boosting growth and employment, and strengthening resilience of the global economy. But on the basis of public speeches so far, underlying these two objectives are at least six major priority policies. Underpinning this by action to restore fiscal balance sheets. Most of these are very challenging. Some of them rely heavily on national actions – putting in place an investment-friendly climate is a very country-specific issue; countries start from very different positions on fiscal policy, and so it will be difficult to coordinate fiscal actions; and progress on IMF reform can only move forward when the United States ratifies the 2010 agreement. In addition, two of the three areas where international agreement is crucial – trade and tax – are notoriously difficult to make progress on. The third – financial sector reform – is easier, because over the last five years the FSB has done most of the preparatory work to put right the failings which contributed massively to the crisis. But the WTO seems incapable of making progress on truly multilateral trade liberalisation, so that any forward movement on trade is likely to have to concentrate on plurilateral structures (all of which at the moment appear to exclude one of the most important trading nations, China). And, for all its good analytical work, the OECD does not appear to have the political clout to get full international agreement to the harmonisation of tax policies and practices, including by countries which are not members of the OECD. Finally, the experience of the previous attempt at IMF quota and governance reform (which despite the economic and financial crisis still took at least two years to finalise agreement on) suggests that the aim of completing the next round of reforms by January 2015 is extremely ambitious, and unlikely to be realised. Australia is to be commended for taking on these challenges, all of which are important elements of a better global financial order. And Australia’s position as a reasonably honest broker means that it can push hard on all these areas. It is also to be commended for not adding overly to the already overburdened G20 agenda, and for putting less priority on some areas. However, it will have to continue to resist pressure from other G20 countries to add further priorities which were added under previous presidencies. For example, the development agenda, anti-corruption measures, jobs and labour market participation and energy markets all feature in the official agenda for Australia’s presidency. Taking forward nine or ten separate (and difficult) agendas with equal vigour is bound to distract from the main priorities. Unless Australia can concentrate its efforts and negotiating capital more tightly, it runs the risk of disappointment and under-achievement. It will need to prioritise more tightly, so that it can use the opportunity presented by the G20 Leaders’ meeting in Brisbane to broker agreements on one or two key issues which can only be delivered by heads of the G20 governments. Senior Research Fellow, Chatham House. The Australian presidency focus emphasising economic growth and job creation, together with improving the G20’s working methods, is, in our view, welcome, and has led to a simplification of this year’s agenda and the identification of concrete deliverables in preparing for the Brisbane Summit next November. Mexico is by and large satisfied with the results of the meeting of Finance Ministers and Central Bank Governors that was held in Sydney on 22-23 February, especially the commitment to boost global economic growth by 2 per cent over the next five years, above and beyond current trends. The Working Group on a vigorous, sustained and balanced growth framework needs to develop integrated growth strategies that include commitments not only on fiscal and monetary policy, but also on employment, trade, the fight against corruption, and energy. Mexico’s achievements in passing a very ambitious reform agenda in the energy, education, labour, finance and telecoms sectors, to name just a few, should be recognised in the Brisbane Action Plan. The G20 should continue to urgently press the United States to ratify the IMF’s quota and governance reforms as soon as possible. This would allow emerging countries like Mexico to assume a larger role in the Fund’s decision-making process. Mexico, together with Indonesia and Germany, co-chair the Infrastructure Investment Working Group, which has the potential to encourage private investment in the sector in order to give a further boost to economic growth. During the first Sherpa meeting in Uluru on 27-28 March 2014 some of the more important deliverables for the Brisbane Summit were identified. Agreement was reached to discuss the G20’s role in international economic governance. Mexico’s priority is for the G20 to consider the social consequences of the global economic crisis, especially in employment, vulnerable sectors of the population, as well as in food security and financial inclusion. Mexico also feels that there should be a better balance in the G20’s agenda in favour of developing countries. The Australian decision not to include food security as a priority issue in the Development Working Group is, in Mexico’s view, unfortunate. Employment also needs to be kept as a priority issue in the G20’s agenda. We agree with the Australian presidency’s desire to incorporate gender equality in the discussion of this issue. Regarding energy and environment, we strongly regret Australia’s decision not to reiterate traditional G20 support for the UN climate change negotiations. Mexico supports the outreach process undertaken by the Australian presidency vis-à-vis non G20 members, as well as regional and subregional international organisations. We also support the continuation of parallel fora such as the Business20, Labour20, Think20, Youth20 and Civil20 as a way of enriching the agenda’s discussions by incorporating non-state actors’ views. Mexico has a vested interest in keeping the G20 alive and relevant beyond the current financial crisis. Therefore, consideration should be given during the Australian presidency to making sure that the G20’s agenda is not circumscribed to issues purely related to the crisis, but also looks beyond to a time when the Group can act as a global steering committee for other issues currently unresolved elsewhere in the international institutional framework. Member ex oficio, Mexican Council on Foreign Relations (Comex). The lingering effects of the global financial crisis reflected in the slow pace of economic recovery have made the need for deeper and stronger global macroeconomic coordination more urgent. Without doubt, governments around the world are hoping for a new wave of collaboration to boost global growth and productivity through the promotion of international trade, investment, and job growth. The G20 has both the capacity and the political legitimacy to design reforms to meet these expectations and in doing so facilitate the advancement of global economic wellbeing, which is the platform’s raison d’être. With Australia assuming the G20 presidency in 2014, a new opportunity to boost the G20’s image as the primary driver of global economic cooperation has emerged. We welcome the Australian Government’s declared commitment to promote more effective global governance as the 2014 G20 chair. The Brisbane Summit aims to focus on a narrow but inclusive agenda. The focused and inclusive framework provides an important opportunity to tackle economic issues more rigorously and adequately. For these reasons, we believe that Australia’s 2014 agenda for the G20 offers a much-needed perspective to effectively prioritise and address specific issues instead of general and abstract objectives. Australia’s positive kick-off notwithstanding, we would also like to emphasise that the momentum for cooperation among G20 countries needs to be maintained. One of the reasons for the sluggish growth is that economic and political actors around the world are not fully aware or acknowledging of the paramount importance of collective inter-state action. In 2008, the G20 declared its commitment to international cooperation for achieving and sustaining global growth. At that time, the G20 platform was strong enough to take joint decisions and G20 countries decisively adopted these decisions. Moreover, the central banks of the G20 countries decided to monetise jointly in order to revitalise the global economy in 2009. However, the faster recovery of the American economy compared to global markets and the subsequent decision of the Federal Reserve (Fed) to initiate tapering policies have weakened, and in some cases reversed, the gains brought about by the harmonisation efforts taken under the G20 umbrella in 2009. Along with other critics of the Fed’s tapering policy we interpret the policy decision as a sign of disingenuity whereby developed countries, once they have recovered from the crisis, abandon emerging markets in the quagmire of sluggish growth. In view of the fact that in 2009 the G20 took a joint decision to monetise, we believe that G20 countries should have been consulted before the Fed made its decision to reduce quantitative easing. Without doubt, such unilateral actions weaken collaboration among G20 countries and damage the international credibility of the G20 at a time when global markets need joint decisions and actions more than ever. The G20 is in urgent need of a coordinated strategy in order to raise global awareness on the importance of collective decision-making and collective action. We hope that the Australian chair will proactively contribute to this crucial objective by underlining the need for cooperation among G20 countries, most importantly, between developed and emerging markets. Managing Director, Economic Policy Research Foundation of Turkey (TEPAV). Since the Think20 meeting held in December, the road to economic policy normalisation has proceeded according to plan with the very much debated ‘tapering’ of the third round of quantitative easing as the centerpiece of the new course of action set by the US Federal Reserve (FED), and a smooth reception in the marketplace. Economic optimism has gained traction, paving the road to expectations of more stimulus unwinding in the near future (especially in the United States). Both the IMF’s and the World Bank’s economic projections point towards improving GDP and trade activity in 2014-2015, though growth will still remain below potential, and lagging labour market conditions are not predicted to reach full employment levels in any short-term scenario, not even in the most benign one. Noise has emerged from an unexpected front: the crisis of Ukraine has reignited geopolitical stress at levels not observed since the Cold War era. Russia’s annexation of Crimea is a sudden stop for the G8 endeavour and brings the old East-West type of conflict back to the table in Europe. It reminds us that cooperation is a by-product of common understanding and joint efforts among nations more than an iron fate dictated by the rules of globalisation. National interests and political will must first align in the international arena to foster globalisation. And unfortunately they cannot be always taken for granted. Despite prolonged unconventional stimulus, inflation has not turned into a problem. And in fact it persists well below central banks’ official targets. Mild disinflation has been the norm since 2010 though deflation risks are deemed to be low. G7 authorities tend to believe that inflation rates will gradually converge to their targets in a natural self-attaining way, but, as time passes, there are no signs this is starting to happen. However, monetary policy is not specifically addressing the issue (the Bank of Japan being the only exception). Although Mario Draghi, the head of the European Central Bank (ECB), has warned of the risks of “too low inflation” and has mentioned several measures under study (such as the imposition of negative interest rates), none of them have been implemented (nor are they seriously expected to be), even though Eurozone inflation rates are less than half the ECB target. In the last FED meeting (18-19 March 2014) the lone dissenter, Narayana Kocherlakota, cited that (a) “the new (forward) guidance weakens the credibility of the Committee’s commitment to target 2 percent inflation”. Kocherlakota argues that (b) “the new guidance fosters policy uncertainty and thereby suppresses economic activity”. While growth picks up in advanced economies (including its resumption in the Eurozone), it is decelerating in emerging markets. Both phenomena are not independent but connected by financial transmission links. A stronger US economy leads to actual and expected shifts in US monetary policy with widespread effects in international financial markets. Portfolio outflows hit emerging markets hard, provoking sharp bouts of turbulence, both in mid-2013 and in late January/early February 2014. With currencies and asset markets under pressure, local officials in emerging countries had to react by tightening their own policies in order to ensure stability. Flexible nominal exchange rates and foreign exchange reserve intervention helped mitigate the blow. Countries with external deficits were especially targeted. As national spending cuts help restore the external accounts, a geographical extension of Kocherlakota’s critique (b) is granted: uncertainty suppresses economic activity well beyond the US borders. And – as a by-product – it could also trigger more disinflation headwinds globally. In their 22-23 February 2014 meeting in Sydney, G20 finance ministers and central bank governors tackled this issue when they recognised there is policy space to promote stronger economic growth. They agreed to “develop ambitious but realistic policies with the aim to lift our collective GDP by more than 2 per cent above the trajectory implied by current policies over the coming 5 years”. Such commitments should be carefully crafted to avoid aggravating emerging markets’ woes through G7 policy changes and negative spillovers. In terms of financial stress, given heavy discounting by capital markets, the ‘tapering’ saga proved to be more corrosive during its announcement phase (last year) that when its gradual execution became effective (in January). Such experience brought a valuable lesson. In a volatile world, where you have to expect the unexpected, it is then – when all of a sudden the unexpected arises – that you might face the strongest shock. Considering that tapering is not even a reversal of monetary base creation (just a deceleration) it is easy to understand that tougher challenges lie farther down the road. It took time for the FED’s ‘tapering is not tightening’ mantra to take hold. Former FED chairman Ben Bernanke emphasised the point since day one, when he issued the first tapering warning in May 2013. Indeed, tapering talk tightened financial conditions at least until September 2013 as investors reacted by aggressively curtailing duration risk until they rebalanced their portfolios. For emerging markets, tapering in the United States was tightening at home. And tapering-related flows are still a significant headwind and remain an open potential menace. Tightening monetary base creation is unambiguously the next step in the agenda. Lifting G7 short-term interest rates will be the cornerstone of the normalisation drive. Leaving zero rate policies and resetting rates at their long-term equilibrium levels will take several years and require extremely careful handling. Such highly likely processes cannot be called an ‘unexpected event’, even though its precise steps and timing are uncertain. Communication has a key role in helping to bridge the uncertainty gap. G20 finance ministers in their February 2014 meeting committed to “consistently communicate our actions to each other and the public” and “continue to cooperate on managing spillovers to other countries” as well as “to ensure the continued effectiveness of global safety nets”. Pre-emptive communication might help to achieve those three very important goals simultaneously. But no matter how well designed the communication effort, there are limits to what can be told. Transparency is not a synonym of predictability, either. There are limits to what can be done as authorities might not know their conditional future decisions well in advance. Perfect foresight is not a merchandise to be found on the shelf. Use of forward guidance by central banks is the right type of information tool but their guiding function had to be redrafted this year both in the United States and in Great Britain. The FED abandoned its quantitative economic guidance in its March meeting and replaced it with a vaguer, less precise qualitative guidance that eliminated any numerical reference by dropping both the 6.5 per cent unemployment rate and the 2.5 per cent inflation rate thresholds. Fortunately, the FED’s Summary of Economic Projections was retained and the most likely path of rising rates can still be estimated. The first FED funds rate raise is not expected until next year. They might reach 1 per cent by the end of 2015 and 2.25 per cent by December 2016 according to Federal Open Market Committee insiders’ median estimates. At the end of the day, policy will be conditional on the economy and financial markets, and surprises cannot be ruled out. Initial conditions do matter and they are skewed towards extreme relaxation. Asymmetries exist. While yield compression might be benign, reversals tend not to be and they demand slow administration. Random shocks occur. That is why the installation of a solid financial infrastructure ought to be considered a growing priority for policy-makers (as well as for regulators and supervisors). Ample loss absorption capabilities are needed (both in financial intermediaries and in capital markets) to weather unexpected storms so as to keep damage under control without economic disruption or serious social spillovers. In that department, 2014 has seen progress in the United States, Europe and China. The US FED finished their Annual Comprehensive Capital Analysis and Review for financial intermediaries with 29 out of 30 institutions cleared at the stress exams. Coverage was increased with 12 more banks participating than in 2013. The tests included 28 variables under analysis. Those variables are selected with a very wide scope in mind. Twelve of them were of international nature. All institutions but one were able to run through the most adverse scenario while keeping at least a 5 per cent capital tier 1 relation to their assets. In that extreme scenario banks faced a simultaneous 50 per cent drop in equity prices and a 25 per cent fall in housing prices as well as a jump in the unemployment rate to 11.25 per cent (currently at 6.7 per cent). In Europe, the ECB will assume oversight of the largest banks in the Eurozone in November 2014 in what will be the first step in the banking union roadmap. Approximately 128 institutions will be under their direct supervision. Control of smaller banks will remain the job of national supervisory agencies. The ECB has already published the general guidelines of their stress tests. Defining common standards was a very demanding task considering that banks under scrutiny operate in 18 different legal frameworks. The central bank will first assess the asset quality of banks’ portfolios (reviewing all types of risks, including, unlike in the past, sovereign risks) and then it will measure banks’ resilience to extreme adverse conditions. The ECB stress tests are expected to correct past experiences when several institutions passed the European Banking Authority exams but were later unable to navigate the crisis without urgent injections of extraordinary official assistance. Trust in European banks is the prize expected to be gained with this revamped regime. It should be kept in mind that how Europe deals with undercapitalised institutions is a very strong pending issue. If mishandled, it could turn out to be a powerful source of financial instability. In China, financial reform is gaining ground pari passu with a huge credit clean-up process. The course is set for further liberalisation, but to succeed, legacy excesses should be corrected. Considering that China is also switching its economic model – from an export growth approach to a more inward-looking regime with a bigger role for private sector consumption and services – the challenge faced by policy-makers is massive. Past disorderly credit expansion, the surge of a huge shadow financial system, local government and state-owned enterprise debt increases, and leveraged real estate bets must all be dissected and put under control. In parallel, the liberalisation drive gives markets a strong say in interest rate deregulation, permission to open new private sector banks and even the first national corporate bankruptcies were allowed. Default jitters might hurt depositors’ confidence in local banks as there is no deposit insurance. Abandoning the old financial repression system is badly needed, but were China not in a very strong macroeconomic and net worth position and were capital controls not in place, the pace of financial transformation would be deemed very risky. Given China’s links with emerging markets its reform performance will reverberate in those markets strongly. In emerging markets, tapering-related turbulence has worked as a series of empiric stress tests for the local financial systems and policy frameworks. Up until now, they have responded without exposing significant flaws. Stability preservation demanded flexibility and economic policies were able to adapt successfully and to provide the right manoeuvring. Experience teaches that ceteris paribus countries with big financial systems are shaken the most. Financial integration is a mixed blessing. Not surprisingly, frontier markets were less affected than bigger emerging markets. Openness can be a double-edged sword because, relative to advanced markets, emerging markets are quite small and external shocks coming from advanced markets might be too big to swallow. Certainly, emerging markets will benefit if the international infrastructure improves. The 2010 IMF reforms were designed to provide a boost to channels of financing available to countries in conditions of hardship. But, four years later, neither the IMF quota review nor the governance reform have become effective. The US Congress has not cleared their way and there is no further progress. G20 finance ministers in Sydney urged “the US to do so before our next meeting in April” but the US political process has other priorities to take care of. Without an international lender of last resort, and no access to huge pools of liquidity when needed the most, incentives to implement second-best defensive solutions are plentiful – going from increased foreign currency reserves accumulation to widespread utilisation of capital controls. Nonetheless, the international arena remains remarkably open to financial flows and has not been significantly affected by imposition of new distortions on the capital accounts. Member, Argentine Council for Foreign Relations (CARI). IMF, “Is the Tide Rising? (21 January, 2014),” http://www.imf.org/external/pubs/ft/weo/2014/update/01/pdf/0114.pdf; World Bank, Global Economic Prospects: Coping with Policy Normalization in High-Income Countries, vol. 8 (Washington DC, 2014); International Labor Organization, “Global Employment Trends 2014: The Risk of a Jobless Recovery,” http://www.ilo.org/wcmsp5/groups/public/---dgreports/---dcomm/---publ/do... Alfredo Gutiérrez Girault and José Siaba Serrate, The G20’s Agenda and the Challenge of Transition (December, 2013)” [“La Agenda del G20 y el Desafío de la Transición”], CARI-Konrad Adenauer Stiftung. At the time of editing, consumer price index inflation is below central bank targets in the US, the Eurozone, Japan, Canada, Norway, Sweden, Switzerland and South Korea. Great Britain is the last member to join this disinflation club. Source: José Siaba Serrate, “Disinflation, the global spectre” [“La desinflación, el fantasma global”], Ambito Financiero, 20 February, 2014. “Consistent with its statutory mandate, the Committee seeks to foster maximum employment and price stability. The Committee expects that, with appropriate policy accommodation, economic activity will expand at a moderate pace and labor market conditions will continue to improve gradually, moving toward those the Committee judges consistent with its dual mandate. The Committee sees the risks to the outlook for the economy and the labor market as nearly balanced. The Committee recognizes that inflation persistently below its 2 percent objective could pose risks to economic performance, and it is monitoring inflation developments carefully for evidence that inflation will move back toward its objective over the medium term.” Quote sourced from: Board of Governors of the Federal Reserve System, “Press Release (19 March, 2014),” http://www.federalreserve.gov/newsevents/press/monetary/20140319a.htm. José Siaba Serrate, “Between Deflation and the Rising Sun” [“Entre la Deflación y el Sol Naciente”], Debate May 2013. Narayana Kocherlakota, “Statement on Dissenting Vote at March 19, 2014, Meeting of the Federal Open Market Committee (21 March, 2014),” https://www.minneapolisfed.org/publications_papers/pub_display.cfm?id=5281&. Board of Governors of the Federal Reserve System, “Dodd-Frank Act Stress Test 2014: Supervisory Stress Test Methodology and Results,” (Washington DC, 2014). ECB, “SSM Quarterly Report 2014/1 - Progress in the operational implementation of the Single Supervisory Mechanism Regulation”, 2 February 2014. “José Siaba Serrate, “China ties its future to the key role of the market” [“China ata su futuro al rol clave del mercado”], Debate, December 2013. Alfredo Gutiérrez Girault and José Siaba Serrate, “The G20’s Agenda” [“La Agenda del G20”]. In the Think20 meeting in December 2013, several voices spoke about the need for the G20 to take a leading role on climate change. Since the 2009 Pittsburgh Summit, the G20 has made commitments to phase out fossil-fuel subsidies, phase down hydrofluorocarbons (HFCs) through the Montreal Protocol, and stimulate climate finance. While Australia has been quiet about climate change this year, other G20 members will want these items on the agenda. Along with an emphasis on energy efficiency – the Energy Sustainability Working Group (ESWG) focused on this issue in February 2014 – there may be advancement yet for climate change. Acting on vehicle fuel economy and emissions is an option for energy efficiency, for example. With the modest space given to climate change this year by Australia, efforts to advance the climate agenda will need to be practical. The pace and scope for climate items on the G20 agenda are different and need to be treated as such. In terms of fossil-fuel subsidies, the phase-out of these has gone through several studies and reviews as a part of the G20 agenda since 2009. Even though countries have taken measures, progress remains slow. The International Energy Agency (IEA) estimates fossil-fuel subsidies increased worldwide to $544 billion in 2012. Expectations need to be managed given this fact. There are also strong domestic political sensitivities, as seen in Indonesia which had to roll back subsidy reform in the face of public backlash. In the 2013 Saint Petersburg Summit, the G20 announced its intention to put in place a peer review system on fossil-fuel subsidies phase-out. The United States and China pledged to volunteer for this process in the 2013 Strategic and Economic Dialogue (S&ED), which gives substantial backing to continued reinforcement of fossil-fuel subsidies phase-out in the G20. HFC phase-down is more of a near-term effort and can prove to be a quick win. The current commitment by the G20 is to open negotiations for adding HFCs to the Montreal Protocol in November 2014, right before the Brisbane Summit. While HFCs are not an ozone-depleting substance, the use of HFCs is the result of replacing hydrochlorofluorocarbons (which replaced chlorofluorocarbons), a substance the Montreal Protocol is currently phasing down. It is within the scope of the Montreal Protocol to address substances that cause climate change as a result of it phasing out an ozone-depleting substance. Political support for this effort has been building among states for several years. The 2013 US-China S&ED also enabled the entry of HFC phase-down into the G20 agenda. If the Meeting of Parties (MOP) of the Montreal Protocol results in formal negotiations to include HFCs, the G20 will be proof that the major economies can work together on climate change. This would add sorely needed optimism in international climate change diplomacy preceding the United Nations Framework Convention on Climate Change (UNFCCC) meeting in 2015, a milestone conference where a follow-on agreement to the Kyoto Protocol will be negotiated. In 2013, countries had less than three months – from the Saint Petersburg Summit in September to the Montreal Protocol MOP in November – to manoeuvre to open negotiations on HFCs. With a longer period to prepare in 2014, G20 countries have a timing advantage to move forward on the issue and, if the MOP is successful, portray themselves as climate change leaders and support efforts in the Montreal Protocol and elsewhere. By linking its political agreements with regimes that have greater enforcement capability, the G20 will ensure its relevance as a ‘global steering committee’. Climate finance has not fared as well in the G20. Despite a 2011 report compiled by the World Bank and other international financial institutions and a brief progress report in 2012, the G20 has not taken up any climate finance policy initiatives – save for a working group on climate finance. While there does not seem to be space for any new initiatives this year, the G20 can provide a timely expression of support for the Green Climate Fund and the UNFCCC. As the G20 prioritises infrastructure investments, there may also be an opportunity to seek co-benefits with climate change policy. The concept paper on the 2014 G20 issued by Australia mentions that it will “explore how it can advance work on energy efficiency”. A description of the February 2014 ESWG meeting states: “Members acknowledged the importance of energy efficiency and agreed to share national energy efficiency experience and best practice with a view to further improving the uptake of energy efficiency practices and technologies in G20 economies”. Indeed, the benefits of improved efficiency are many: ‘pocketbook’ savings for household budgets, industrial productivity gains, and increased asset values, for example. From a climate perspective, it is a huge opportunity for greenhouse gas reductions. For climate change, analysis from the IEA identifies efficiency as one of four policy areas that can keep the 2 degree target alive: “Targeted energy efficiency measures would reduce global energy-related emissions by 1.0 Gt in 2020, a level close to that of Russia today”. For light-duty vehicles, adopt Euro 6/VI vehicle emission standards by or before 2020. Efficiency standards under best practices with sufficiently long regulatory lead-time can cost-effectively achieve 4-6% per-year reductions in per-vehicle CO2 emissions, with fuel savings that greatly outweigh the upfront technology costs. For heavy-duty vehicles, ‘green freight’ programs can collect extensive data on fleets and technologies, provide reliable guidance on best practices to improve truck efficiency for fleets and accelerate efficiency technology adoptions (for example tyres, aerodynamic devices). The message Australia has sent to the world is that it wants a focused and efficient G20 agenda. With recent declarations by China and the United States to increase climate cooperation, and as the world heads to the 2015 climate talks, the moment is ripe for further action on climate change. By instituting the peer review process for fossil-fuel subsidies phase-out, phasing down HFCs through the Montreal Protocol, considering the climate dimension of infrastructure investment, and working to advance energy efficiency ­– perhaps with a focus on road vehicle fuel economy, even with a streamlined agenda the G20 can still take practical actions on climate. International Energy Agency, “Energy Subsidies (2013),” http://www.worldenergyoutlook.org/resources/energysubsidies/. OECD and IEA, “Redrawing the Energy-Climate Map,” (Paris: International Energy Agency, 2013). Drew Kodjak, David Shorr, and Sheila Watson, “G20 Action on Vehicle Efficiency and Emissions,” Lowy Institute for International Policy, http://lowyinstitute.org/files/kodjak_shorr_watson_t20_fuel_economy.pdf. Drew Kodjak, and Nic Lutsey, “Status and prospects for motor vehicle air quality regulations in G20 nations (11 February 2014)”. The G20 under Australian presidency has proceeded for four months. Generally, it has been a good start and Australia has demonstrated a visionary and practical plan towards the Brisbane Summit. A global economy needs an effective structure of global governance. G20 summitry emerged from the global financial crisis, representing a wide recognition of the global nature of the world economy, common interests, and the need for a collective effort to strengthen the functioning of global governance. The Toronto G20 Summit was a vital step in identifying the institution as the ‘premier’ regime of global governance. Despite the concerns and scepticism, the G20 process has made some great progress. It may be right to argue that compared with the Great Depression of 1930s, the world has dealt with the impact in more effective and collective ways. But there is no reason for complacency. The G20 of today is still far away from the expectation of it delivering stable and fair development goals. Therefore, the Australia Government has conveyed a strong message to the outside world; it will push forward improving the global governance structure. This was elaborated in the Davos World Economic Forum remarks by Prime Minister Tony Abbott: “Australia is determined, as a responsible and committed G20 chair, to promote better global governance”. With this mission in mind, the Australian G20 presidency has clearly set a plan of action, which is practical but reflecting a big strategic vision about better global governance. To some extent, the G20 has become a Christmas tree, on which different countries and advocacy groups may attach their own agenda or wishes. The agenda list is very long, as evident in some of the G20 summit declarations. It is extremely important for a host nation to be able to avert the driving forces for further agenda extension skillfully, and concentrate on the most important mission of the G20 as the premier platform for global economic affairs. The Australian Prime Minister’s remarks at Davos impressed outside observers with a list of priorities, which is short and focused on issues directly related to macroeconomic coordination. This includes trade arrangements, international tax, infrastructure, and banking. All these issues are about creating a supporting environment for investment, creating jobs, and tapping into the potential for growth. I can say that the priorities are well set, showing the practical approach to the G20 by the Australian Government. Though the agenda can be concentrated on the most important issues of the global economy, it is still easy for G20 meetings to slide into becoming a ‘talk shop’, because the parties tend to be engaged in a prolonged dispute with each other and feel pressure not to make concessions. Any effective G20 meeting must be careful to avoid this situation dominating the discussion. We are pleased to find that given the issues on the agenda, the G20 presidency has tried to work out a scheduled action plan. The first meeting of G20 financial ministers and central bank governors in Sydney is an encouraging start for this year’s Australian presidency. For example, G20 members reached an important agreement on the IMF quota and governance reforms in 2010, but the approval of each government has been delayed because of the lack of action by the US Congress. Obviously, the delayed approval of the IMF quota reform has impacted the confidence in the G20 by emerging economies and reform-minded members, particularly regarding future cooperation. It has become more than apparent that emerging economies have been underrepresented in the post-WWII international monetary regime. A sceptical voice has arisen that the countries like the United States are opportunistic about the G20: they promise reform of the IMF when they need the assistance of emerging economies to get them out of the global financial crisis, but once the crisis is over, they will shelve the idea of reform. In order to preserve the credibility of the G20, it is imperative for all members to carry forward the quota and governance program as early as they can. The communiqué of the meeting of Finance Ministers and Central Bank Governors on 22-23 February 2014 has made this point very clearly, not only urging the implementation of the reform but also setting the timeframe for action by the United States. As the communiqué says, “(w)e deeply regret that the IMF quota and governance reforms agreed to in 2010 have not yet become effective and that the 15th General Review of Quotas was not completed by January 2014”. It also emphasises the urgency of seeking approval: “Our highest priority remains ratifying the 2010 reforms, and we urge the US to do so before our next meeting in April. In April, we will take stock of progress towards meeting this priority and completing the 15th General Review of Quotas by January 2015”. It is good news that an agenda for international taxation cooperation has been set. It used to be a difficult field because it involves the complicated politics of sovereignty and quarrels between developed and developing countries regarding the cross border taxation. The Australian Government conveyed a strong message that the Australian G20 presidency would like to set up links between the agendas of the G20 and APEC, and conduct coordination and cooperation with China, the APEC summit host in 2014. The aim is to promote coordination between the two governance regimes and ensure the two agendas are complementary and strengthen each other. The potential coordination areas may include infrastructure financing and trade liberalisation. It would be a brilliant idea to have effective coordination between the G20 and APEC which will reduce the possible conflict of objectives between a regional organisation and a global regime, and reinforce the efforts to improve global governance. As key trading and investment partners to each other, Australia and China naturally have strong incentives to push forward cooperation on this link. China is an active participant in the new regimes of global governance, and the country especially welcomes the G20’s emergence as the ‘premier’ platform of global economic governance. Moreover, with a new leadership led by President Xi Jinping in power, the Chinese Government released a comprehensive plan of reform at the end of 2013. Chinese leaders believe that in terms of external pressure, bilateral investment treaties and free trade areas under negotiation are required to drive the domestic reforms. As Beijing hosts the APEC summit meeting in November 2014, China has proposed a plan to boost the vision and program of a broader Asia-Pacific free trade area. Given these factors, it is reasonable to believe that the G20 Australian presidency has a good opportunity to leverage China’s APEC agenda and that both sides can work together to achieve an early conclusion of the WTO Doha round and a more open regional trading system in the Asia Pacific area. As part of this cooperation, China and Australia have agreed to complete the long-negotiated bilateral FTA. (As expressed by Ms Frances Adamson Australian Ambassador to China, Australia hopes to strike the deal by the end of 2014). In order to achieve these goals, it may be advisable for Australian leaders and the public to put aside the political and security dispute with regard to China (not similar to the case responding to the Chinese Government’s declaration regarding the air defence identification zone in December 2013), and beware of the possibility that interest groups may reiterate ‘China threat’ statements that would disrupt the environment for cooperation between the two countries. Although the communiqué highlights “timely and consistent implementation supported by meaningful peer reviews, including OTC derivatives reform”, it seems still short on implementation with a scheduled action plan. We hope that the G20 members conduct more consultation to ensure the reforms happen within a certain timeframe. Second, on trade, a G20 trade ministers meeting is expected, but there is not enough detail disclosed. Trade should be a high priority and an early conclusion of WTO Doha round talks should be taken as one of the most important drivers in “creating a climate that facilitates higher investment, particularly in infrastructure and small and medium enterprises”. The G20 meeting should attach more significance to trade liberalisation agreements including an early conclusion of WTO Doha round negotiation and regional FTAs if they are not in conflict with the rules of the WTO. Trade liberalisation can be a useful instrument for improving the investment environment and promoting investment in infrastructure. Third, the G20 Australian presidency may propose to set up a standing secretariat of the G20, aimed to effectively lead the policy discussion and coordination for better global governance. This function may be a necessary step in promoting the efficiency of the G20 regime. Director, Center for International Political Economy Research, Peking University. Edwin M. Truman, “IMF Reform Is Waiting on the United States,” (Washington: Peterson Institute for International Economics, 2014). Jingji Caokao Bao, “China-Australia FTA is expected to be reached within the year (3 March, 2014) [“Aozhong zimao xieding youwang niannei dacheng”], Economic Information Daily: http://news.dayoo.com/finance/201403/03/54401_110690296.htm. The agenda during this year’s G20 presidency is ‘leaner’ compared to many of the previous summits, with a clear goal of stronger and resilient growth, supported by vigorous and a robust private sector contribution and necessary structural reforms. This year’s presidency has focused on the core G20 issues that for some years have been ‘lost’ due to the proliferation of the G20 agenda, with each G20 host introducing new agenda items. G20 Finance Ministers and Central Bank Governors have reached a consensus to boost global growth by 2 per cent in the next five years, and each G20 member country will submit their commitments to support this, which will be summarised in a ‘Brisbane Action Plan’. One strategy to stimulate growth stands out and has been consistently and concertedly championed: infrastructure investment. For resilient growth, this year’s presidency has focused on a few main issues: better coordination and communication of monetary policies, as well as strengthening the tax systems by combatting tax base erosion and profit shifting, including a better global exchange of tax information. When each G20 country submits its commitments for the ‘Brisbane Action Plan’, there are a few things that the IMF and the G20’s Mutual Assessment Process must pay attention to. The first is that they must identify where the collective 2 per cent increase in global growth comes from. In light of declining growths in the BRICS countries – India’s real GDP growth rate in 2013 has declined to more than one-half of what it was in 2010, China’s real GDP growth in 2013 has declined by about 2.8 percentage points since 2010, Russia’s real GDP growth rate has plummeted to 1.3 per cent in 2013 from 4.5 per cent in 2010, while South Africa’s and Brazil’s real GDP growth rates have grown weaker as well – it is not very clear where the 2 per cent growth will come from. Unless there is robust recovery in the United States and the big EU countries, it might be difficult to see that the goal will be achieved in the coming five years. The second is that growth alone is not enough. It must be quality growth that must come from necessary structural reforms, fitted to each individual country’s needs. The third is that strategic economic commitments are not independent from the political environment and constituents in each individual country. The failure by the United States to ratify the IMF quota and governance reforms agreed in 2010 is just an example of how difficult or unpopular it is sometimes to implement domestic or international reforms agreed to at the G20. The fourth is the fact that, except for a few domestic policies, there is hardly any domestic policy whose impact can be confined to the boundaries of the country. Most domestic policies – from monetary to trade to investments – have ‘crossed’ borders. A country can in fact experience a crisis caused by spillovers from other countries, even though it has done everything to build good fundamentals. Hence, attention must be paid to these spillover effects. Coordinated monetary policy is a complex issue. It can almost be compared to a mythical chimera. The G20 has been and must keep talking about how to put it in practice. The easiest way is to say ‘put your own house in order’. This means building good fundamentals in one’s own country so that spillovers and capital flows volatility will not bring down the economy so easily. In some countries, including Indonesia, this may mean a deepening of the capital market. Deepening of the capital market, especially the bond market, can be a ‘new source’ of a financial safety net, in the sense that it could better channel capital inflows into more productive investments that stay longer in the country, i.e. are less volatile. Azis argues that, of all asset classes, bonds are the most relevant asset to support financial safety nets. Any efforts to deepen the capital market have to come with better legal infrastructure for the financial market and a strengthening of the legal systems in general. A deepening of the capital market can also be risky without compatible and effective macroprudential policy. Policy and regulatory reform to support the development of a domestic institutional investor base is also a key to a more robust capital market. Regarding infrastructure investment, for many countries – both developed and developing – the key question may be how to finance it. The G20 this year has put a lot of focus on private sector participation in infrastructure financing, through public private partnerships (PPPs) and institutional investors. Private sector participation is important not only as a source of capital but it can also help with improving efficiencies, accountabilities, asset delivery and service performances over the lifetime of the projects, as well as the allocation of risks and rewards. However, supporting PPPs and institutional investors to invest in long-term infrastructure projects requires appropriate financial instruments to invest long-term, such as infrastructure bonds, as bank loans are often limited to shorter-term maturity that could only support the construction phases but not the operational phases of long-term infrastructure projects. Private sector involvement is not a panacea to addressing the financing gap in infrastructure investment. Some infrastructure projects are not appropriate for private sector involvement. Moreover, experiences from developed countries show that the public sector remains the main source of infrastructure financing. Therefore, fiscal and tax system reforms remain important for creating more ‘space’ for infrastructure spending. In many countries, though, there is hardly any room in the national or local budget to increase spending in infrastructure. Infrastructure investment should involve project prioritisation, broader institutional setting and more quality infrastructure spending. More quality infrastructure spending can come from less corruption, better quality projects and hence less maintenance costs. But, creating more fiscal space for infrastructure financing may mean serious political battles for fiscal reforms such as cutting fuel subsidies in Indonesia and India. More fiscal space for infrastructure financing can also be created by increasing tax revenues through improving the tax administration system. The G20 has proposed some actions to combat tax base erosion and profit shifting including the exchange of tax information. In many countries, this may also involve attempts to improve tax collection systems, such as increasing compliance and enforcement of personal and corporate taxes through stricter auditing of tax reports. Australia has recently had tensions with not only Indonesia, but also Japan, China and South Korea. Although this has not affected cooperation in the G20, if these escalate, it may affect interactions between leaders during the G20 summit in November. Hence, maintaining good and cooperative diplomacy is necessary for a successful summit. Economist, Consultant, World Bank Office Jakarta. Source of figures: CEIC Database, available at http://www.ceicdata.com. Iwan J. Azis, “Capital Markets as Financial Safety Nets,” in Asian Capital Market Development and Integration: Challenges and Opportunities, ed. Asian Development Bank and Korea Capital Market Institute (Oxford: Oxford University Press, 2014). Different from its precedents, Australia G20’s logo is in the shape of an animal, which, according to the official notes, is designed to mean “the fish and the serpent-smart, innovative and fresh”. By coincidence or not, this image perfectly matches Australia presidency’s description about its expectation for this year’s G20. When the new Prime Minister Tony Abbott publicly elaborated on his plan for the G20 2014 at the World Economic Forum on 23 January, he started by declaring this year’s theme was about “getting the fundamentals right”. He introduced that his government had established a once-in-a-generation Commission of Audit to reconsider the size, scope and efficiency of government. Not surprisingly, he stated this year’s Brisbane Summit would focus on a few key subjects and aim to produce “a communiqué just three pages long”. This was a very refreshing statement since last year the G20 summit at Saint Petersburg produced a leaders’ declaration that was 27 pages long consisting of 114 paragraphs, and the total number of documents issued by the Presidency, the five working groups, international organisations and other outreach groups reached 88. On the surface, we have not seen much difference in terms of the length of agenda. The G20’s website listed ten items for this year’s agenda: anti-corruption, development, employment, energy, financial regulation, fiscal and monetary policy, investment and infrastructure, reforming global institutions, tax, and trade. A new Investment and Infrastructure Working Group was established. Ten documents have been published in the first quarter. However, we have seen the top level of the G20 getting more determined and smarter. This year’s first G20 Meeting of Finance Ministers and Central Bank Governors in Sydney issued a communiqué of only 11 paragraphs, but unprecedentedly put forward a target of lifting the collective GDP growth by 2 per cent above the currently projected trajectory in the future five years, i.e., “around 0.5 per cent higher on average per annum than it would otherwise be”. This was quoted by Chinese Prime Minister Li Keqiang as a legitimate base for his emphasis on securing a minimum growth rate for jobs in the press conference on 13 March 2014. The length of the Tokyo Declaration was more than halved and the number of documents was sharply reduced. This reflected a call for revival of the ‘Spirit of Rambouillet’ that characterised the G7’s birth in early 1970s, i.e., leaders should be left to have informal and candid dialogues on those most urgent issues. The difference is that the shift occurred when the G7 was nearly 20 years old while the G20 has just had its five-year anniversary. Reasons for this delay include not only the number of G20 members and international organisations, but also rising global challenges as well as the rising consciousness of the public for participating in global governance. The structure of the world has changed and the knowledge of people cannot be reversed. So we must be aware that the G20’s agenda cannot be as concise as 40 years ago. Observation and research on the G20 require more and more professional skills. For political and technical reasons, the proliferation of the G20 agenda is almost inevitable. The most we can do is to isolate those expanding agenda items into lower bureaucratic levels and keep a balance between efficiency and representation. Australia might lead us in this direction to a G20 documentation characterised by a shorter main document with heavy annexes. Like the G7 summit in 1993, this year’s G20 final document should call on the future G20 summits to be focused and streamlined. When Australia’s Treasurer Joe Hockey spoke at the Lowy Institute on 6 February 2014, he emphasised how his country could act as “an honest broker” in “building good bridges with countries of varied backgrounds”. Indeed, the G20 is a perfect platform for Australia to come to the centre and play a role of a middle power. South Korea was the first to declare its middle-power diplomacy in the G20 when it held the chair in 2010. Korea invested enormous resources in the G20 activities and allegedly initiated a new alliance named ‘Pivotal Middle Power Group’. However, with a conservative government that stresses public expenditure reduction, Australia needs more innovation, both intellectual and entrepreneurial, to live up to its ambition. This is not an easy job. How can the 2 per cent lift of growth be realised? The Mutual Assessment Process could not and should not be an enforcement mechanism at all. The collective target will depend on decentralised actions. Answers seem to lie in the following: prevention and preparation for new risks; investment, especially in infrastructure; freer trade; better and growth-friendly financial regulation; and effective tax cooperation. These are in the right direction, but none of them can be taken for granted. For example, first, for the potential ‘third wave’ crisis that might originate from some emerging economies, the G20’s finance ministers are still emphasising their “domestic macroeconomic, structural and financial policy frameworks” are to blame for any harm by external volatility. Emerging economies seem to be calmer than before at the G20 about the tampering effect of US monetary policy, probably because of awareness of the uselessness of any complaint. There are many discussions but no serious action about ex-ante coordination of different layers of global financial safety nets, i.e., IMF, regional financing arrangements, bilateral swaps and national reserves. Ironically, we expect the Ukraine crisis could urge the US Congress to approve the 2010 IMF reform package. Second, the infrastructure financing agenda item is still more a vision than reality. Much attention is directed to private sector investment. Mr Hockey said “the age of entitlement is over….The age of personal and corporate responsibility has begun”. There might be some misrepresentation. There is no shortage of supply of private capital – the key issue is how to better use public funds to leverage private sources. If Chinese experience with infrastructure domestically and abroad can be seen as a success, the role of public funding and aid for trade cannot be ignored. More broadly, when the Chinese Government firmly pursues economic reforms, it seeks to enable the market to play “the decisive role” while at the same time let the government “play its functions”. Both invisible and visible hands are indispensable. This might also hold true for the G20’s infrastructure agenda which should take a more balanced position on the complementary roles of public and private investment. It will be useful for mobilising more funding from emerging countries. This year’s G20 could also promote better integration of its infrastructure agenda with regional initiatives, such as APEC’s move for increasing regional connectivity.Third, the trade agenda is another chronic issue that needs both political and intellectual innovation. The concept of global value chains is such a fancy, which, however, has not been bought in by major powers in their trade policies. As seen previously, strategic considerations are again becoming the major driver of the trade agenda. G20 members’ trade ministers will meet in July this year. In addition to promoting transparency, what the G20 can do now is not much more than keeping patient. We need time to wait for the big emerging economies to get more confident in opening their markets and for established economies to be more accustomed to the rise of the rest world. Research Fellow and Assistant Director, Institute for World Economic Studies, Shanghai Institute for International Studies. 20 documents were issued by the Russian presidency, while the number of documents submitted by various working groups, international organisations and outreach groups were 15, 48 and 3 respectively. The author’s calculation based on the source www.g20.org. Li Keqiang, 13 March, 2014: http://www.xinhuanet.com/politics/2014lh/premier/ (transcript in Chinese). G7, “1993 G7 Tokyo Economic Declaration: A Strengthened Commitment to Jobs and Growth,” http://www.g8.utoronto.ca/summit/1993tokyo/communique/index.html. Michael Pettis, “The World Economic Crisis is entering the 3rd Stage”, Can Kao Xiao Xi, 7 March 2014. IMF Executive Director Lagarde said surprisingly there were no adversary discussions between advanced and emerging economies about this at the G20 Finance Ministers meeting. See: Christine Lagarde, “Transcript of a Press Conference by IMF Managing Director Christine Lagarde at the End of a G-20 Meeting of Finance Ministers and Central Bank Governors (23 February, 2014),” http://www.imf.org/external/np/tr/2014/tr022314.htm. At the press conference on 23 February 2014 in Sydney, the US Secretary of Treasury Jack Lew talked a lot about IMF reform and Ukraine, without mentioning one word about the prevention of harms to some emerging economies by US monetary policy change. Jack Lew, “Jack Lew, United States Secretary of the Treasury, Sydney, 23 February 2014 - Press Conference”, 23 February 2014: https://www.g20.org/news/transcripts/jack_lew_united_states_secretary_tr... Anthony Reyes, “The Importance of IMF Reforms to Support Ukraine”, 6 March 2014: http://www.treasury.gov/connect/blog/Pages/IMF-Statements.aspx. Joe Hockey, “Australia’s Role in Strengthening International Consultation and Cooperation, Address to the Lowy Institute”, 6 February 2014: http://jbh.ministers.treasury.gov.au/speech/001-2014/. Communist Party of China, “Communiqué of the Third Plenary Session of the 18th Central Committee of the CPC, Adopted at the Third Plenary Session of the 18th Central Committee of the Communist Party of China on November 12, 2013”, 12 November 2013: http://www.china.org.cn/chinese/2014-01/16/content_31213800_2.htm.